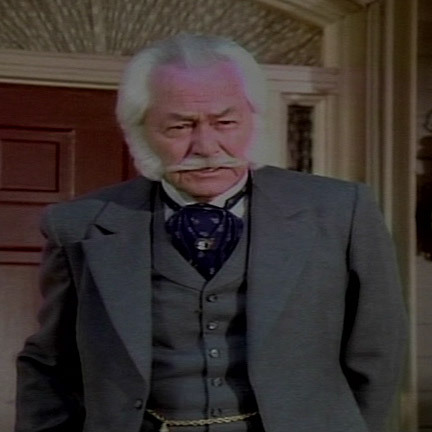 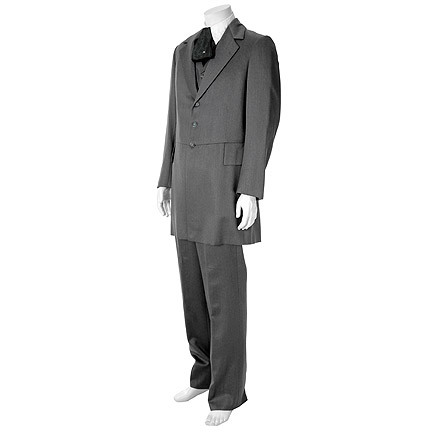 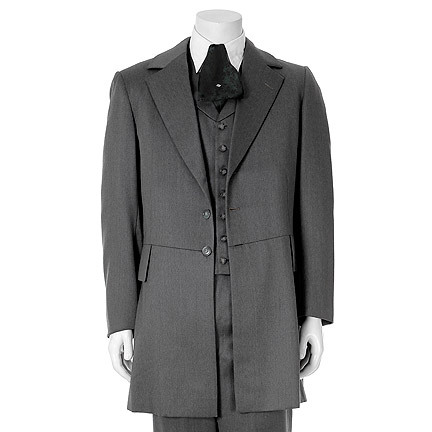 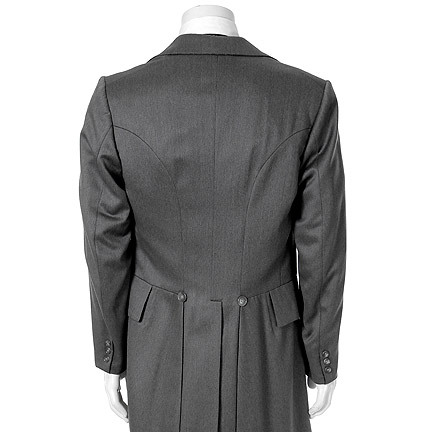 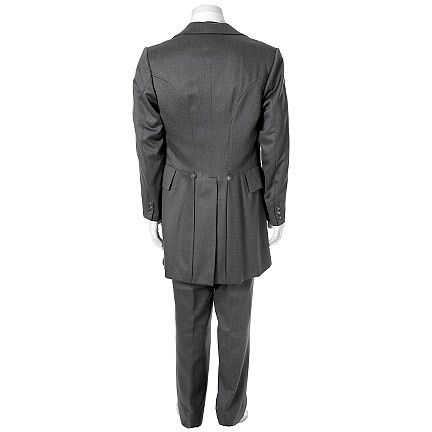 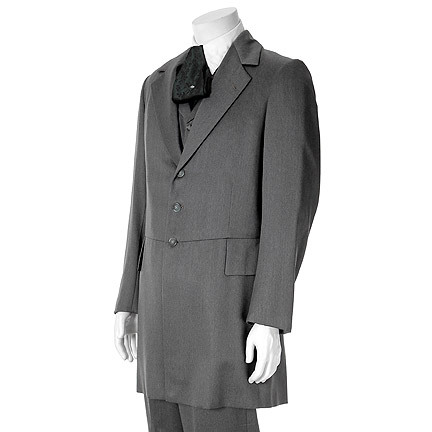 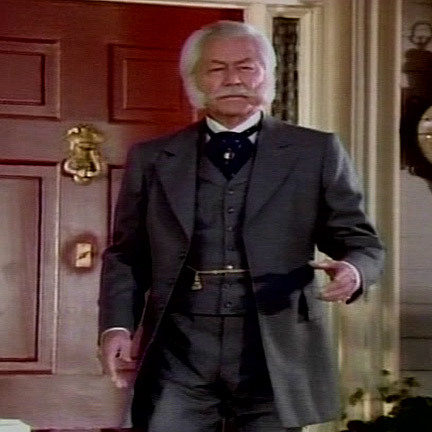 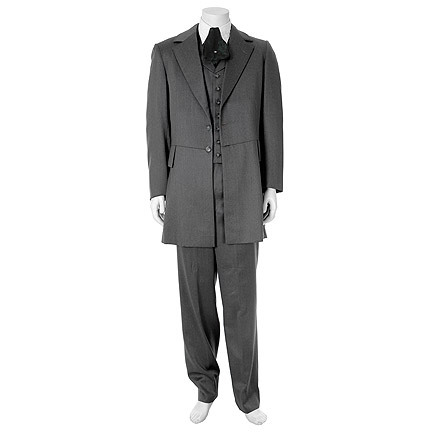 Little Women TV mini-series (Universal TV, 1978) Period three piece grey wool suit with three button closure, wide notch lapel, and two button cuff. 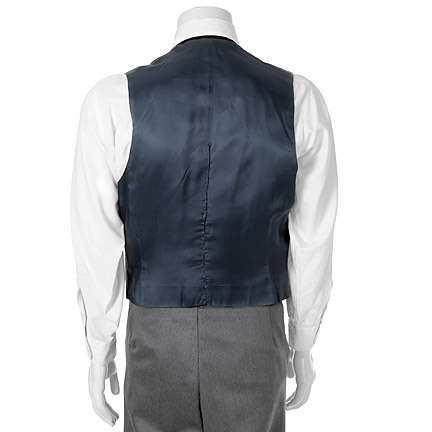 Seven button vest with notch collar, two slash pockets, and buckle back. 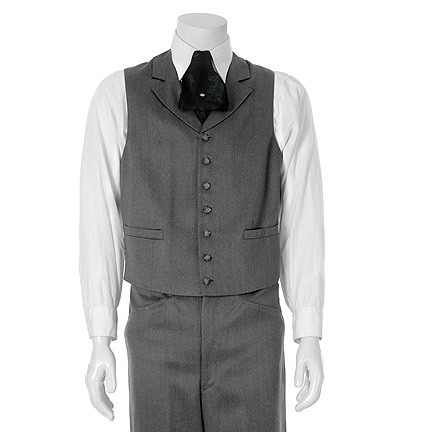 Flat front pant with zip fly, internal suspender buttons, and two slash pockets. 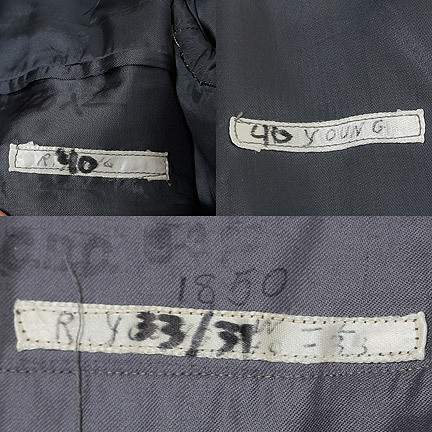 Internal white name strips with R. Young hand written sewn inside the vest and pant.